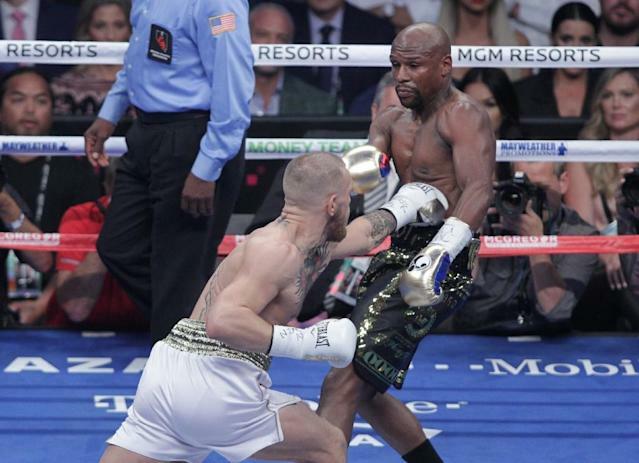 Las Vegas (AFP) - Floyd Mayweather outclassed Conor McGregor to win their money-spinning superfight by technical knockout here late Saturday, securing his place in boxing history to head into retirement with a record 50th straight victory. Former welterweight boxing champion Mayweather, who had come out of a two-year retirement to take on the Irish mixed martial arts star, bided his time before exerting his superiority from the middle rounds onwards at the T-Mobile Arena. 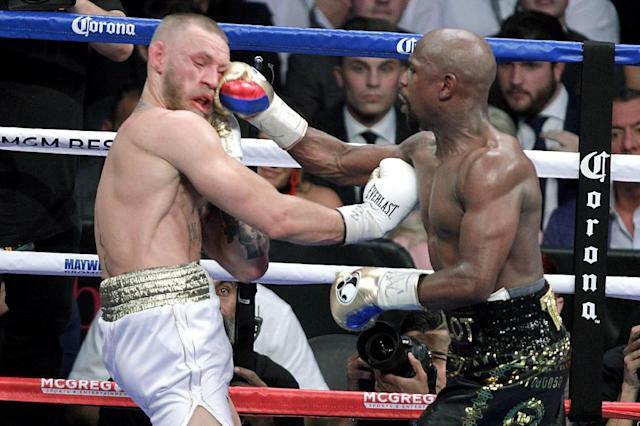 The end came in the 10th round with a tired McGregor doubled over on the ropes as Mayweather landed two hard left hooks, prompting referee Robert Byrd to intervene as a 14,623 crowd with A-list celebrities roared their approval. "He's a lot better than I thought he'd be," a jubilant Mayweather said of McGregor. "He's a tough competitor, but ​I​ was the better man tonight." 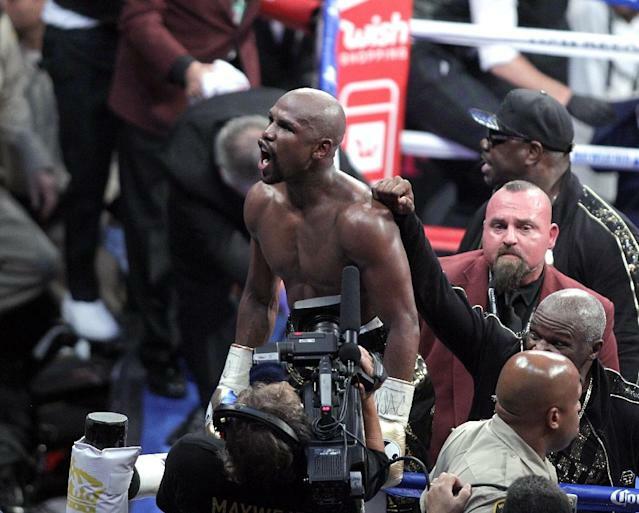 Mayweather led comfortably on all three judges' cards when the fight was stopped. 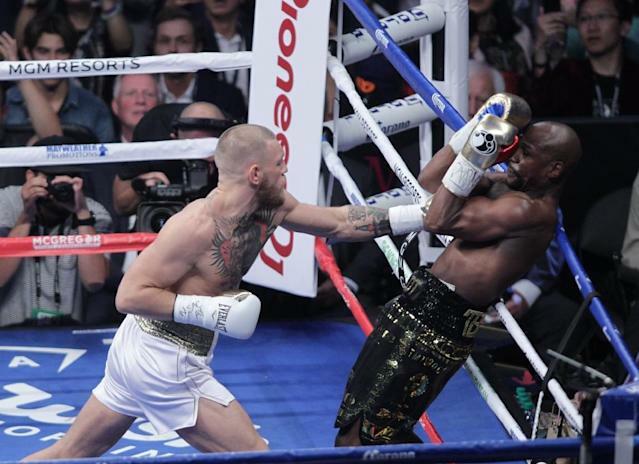 The American boxer said he had deliberately taken his time in order to take advantage of a fatigued McGregor. "He's composed, he's not that fast, he's not that powerful, but boy is he composed," McGregor said. "I thought it was a bit of an early stoppage. I was just a little fatigued. He was just a lot more composed with his shots. It was an explosive finale to their much-hyped contest which proved surprisingly competitive in the early rounds, as McGregor managed to land a string of scoring punches. But once Mayweather began to find his range and McGregor wearied, it was clear who the winner would be. The 40-year-old American scored at will after the early rounds, snapping back McGregor's head with a series of stinging blows. The fight had followed a largely expected script -- but McGregor, in his first ever boxing appearance, by no means embarrassed himself. He rejected suggestions that his 50th win, against a novice boxer, would be destined to have an asterisk against it. "A win is a win, no matter how you get it," Mayweather said. "Rocky Marciano is a legend and I look forward to going into the Hall of Fame one day. "This was my last fight tonight. For sure. Tonight I chose the right dance partner to dance with." If pay-per-view television targets are met, the fight could become the most lucrative in history. The start of the bout had been delayed by several minutes as anticipation built to fever pitch and television providers struggled to cope with the surge in demand from pay-per-view customers. Ever since the fight was announced in June the boxing community dismissed it as a farce and a freak show. But fears of a one-sided massacre failed to materialize, and McGregor finished with some respectable statistics. The Irishman's 111 landed punches were 30 more than Manny Pacquiao managed against Mayweather in their 2015 "Fight of the Century." McGregor said later he was open to venturing into the boxing ring again. "People ask me what's next, I'm not quite sure. I've multiple titles in the UFC to think about," he said. "I could also continue in the boxing game. I'm sure there'll be options in boxing."